This is a bit beyond the basics and the first time it may be like shaving a ferret. The only utensil is a paring knife. Go slow because it’s done as much by feel as sight. And don’t worry about mistakes–it only means cooking with boned parts. Once you get the technique down this can be done in less than 5 minutes. It’ll be a wonder to behold. 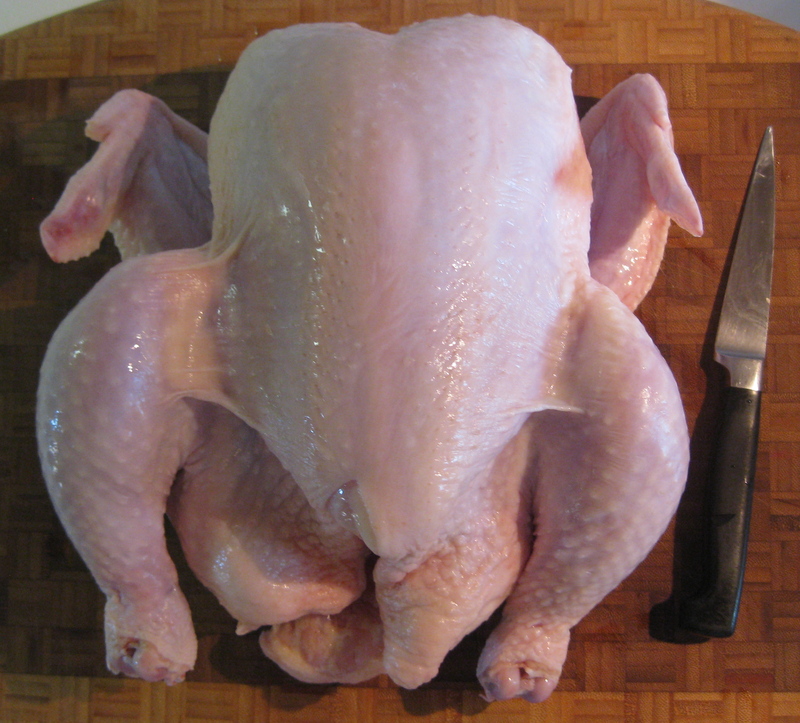 See the post on roasting boneless chicken to for an example of how this can be cooked.